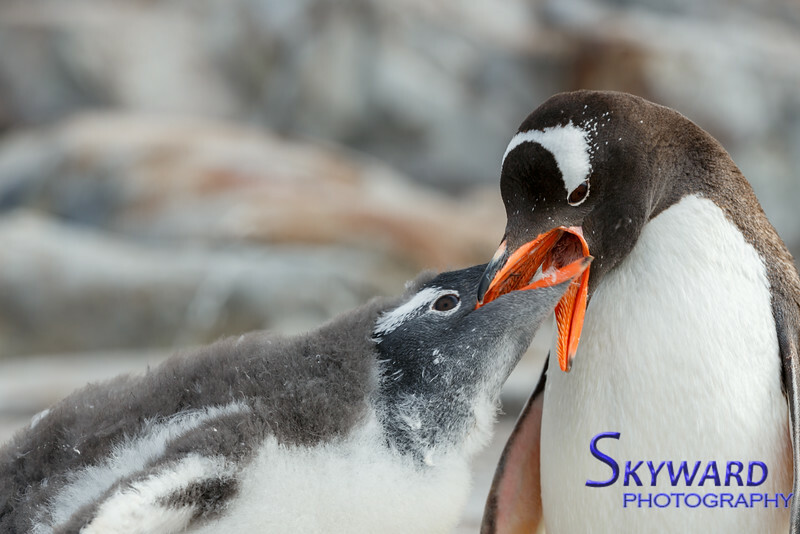 A Gentoo chick is being fed regurgitated seafood by its parent. This parent has two mouths to feed. The chicks chase the parents around the colony and the fastest gets first dibs.